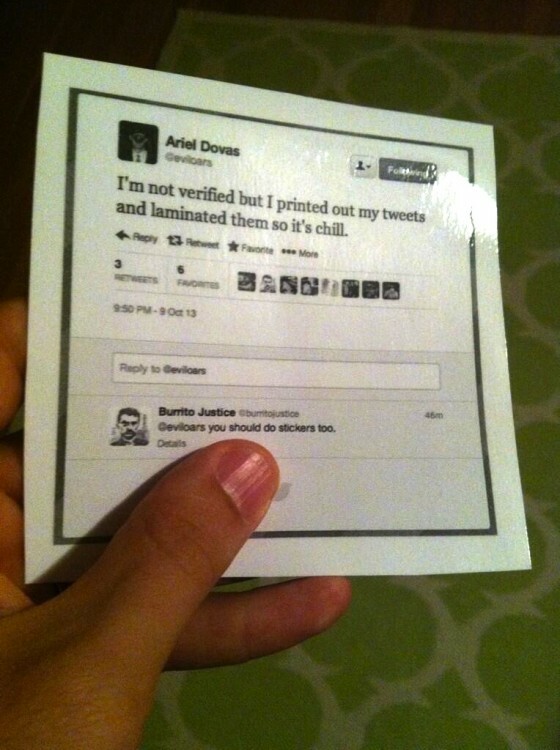 What kind of weirdo prints out his own tweets and laminates them? Shouldn’t there be a comma between Stickers and Too in Burrito Justice’s reply? Slacking!